The love of God toward man is awesome to consider. We speak of it often and we thank, praise and worship God for His love. We love to revel in His many benefits and we are "wowed" because He loves us just as we are, despite ourselves. God loves us more than we love ourselves. 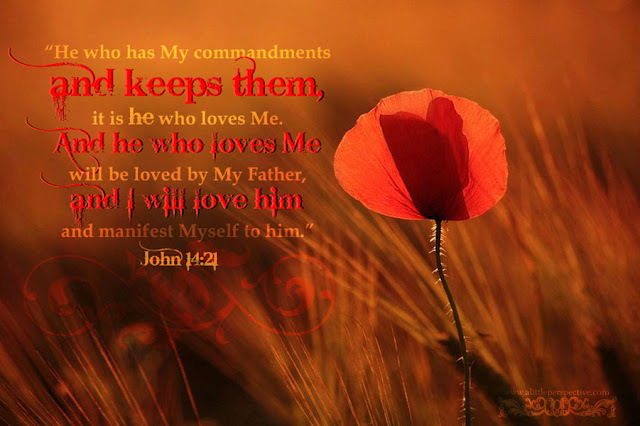 We love God for His unmerited love towards us; because he first loved us. The difference, though, in His love towards us and our love towards Him is our actions. Love is an action word and even though God looks at the heart or the intent of our actions, there is still a lifestyle that must be maintained in order for God to name us heirs to His kingdom. At some point, one must come to the conclusion that if we love God the way we say we do, it becomes easy to do what He tells us. Our love for God should easily triumph our desire to sin or go against the will of God. Just like any other relationship, in order for it to flourish, it has to be built on love, trust and a mutual respect for each other. We are instructed to fear [reverence] our God. When we love God, He becomes first in our life. what we do to bring honor to Him so that He is glorified. Ridding ourselves of the works of the flesh allows room for the fruit of the spirit to flourish within us. Ye are of God, little children, and have overcome them: because greater is he that is in you, than he that is in the world (I John 4:4). Worship Him, Praise Him, Honor Him, but, above all, demonstrate your love for Him through your thoughts, actions and deeds! Jesus said it as simply as possible... If you love me, obey Me! People can say they love God all they want, but without doing what He said, it's all just empty. Thanks for these words that need to be heard!